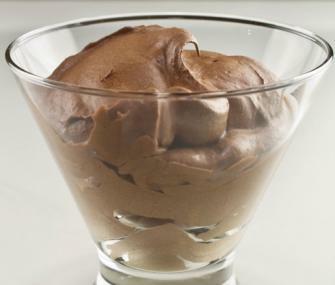 This is a rich and creamy, melt-in-your-mouth Chocolate Mousse recipe from the 70s. Actually I do it in the microwave. Then blend more with electric mixer. Mixture should be thick and grainy. Add one egg and beat with electric mixer for 5 full minutes. Continue adding one egg at a time and beating each egg for 5 full minutes. Don’t try to mix all the eggs at once or it won’t come out right. Mixture should be smooth,creamy and thick. Fold in whipped cream and mix well with wooden spoon. Then chill till firm. Everyone loves this desert but it is very rich. A small amount is plenty for each serving. Because it is so very rich it can make you sick if you eat too much at a time.